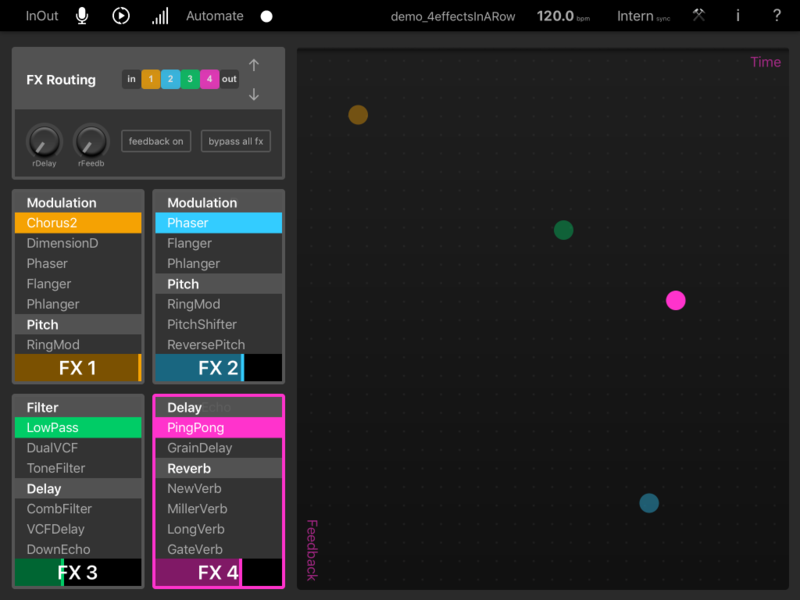 Elastic Drums already had won fans as the indie-developed drum synth / production app released by Mouse on Mars. And inside Elastic Drums, you had a powerful range of effects. So, at some point, lead developer Oliver Greschke had the idea of taking all those effects, and making a standalone multi-effects processor for the iPad. The result you get, though, is a fully spec’ed-out sound processing powerhouse for iOS: Elastic FX. If you were already using Elastic Drums, you’ll like these effects, too – but now they’ve been reworked, and provide stereo processing (not just mono). You’ll find new effects, too, plus all-new routing options and feedback. And if you haven’t used Elastic Drums before, Elastic FX promises straight out of the gate to be one of the leading options for processing effects on the iPad. There are 32 available effects, including modulation, pitch, distortion, filter, delay, reverb, and more. From those 32 effects, you can assign to one of four effect units. It’s that four-effect unit that opens up more possibilities. Choose how to route between effects, add feedback, then adjust parameters all at once via X/Y pad (KAOSS-style). That X/Y pad also has phrase recording and automation, of 1-8 bars in length. There’s additionally a master effects section (which adds 3-band EQ, compressor, and stutter).